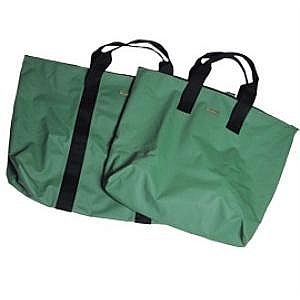 The wet sacks are 100% waterproof & able to hold anything from fish to boots! 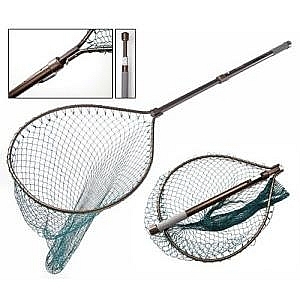 The folding frame net has a simple twist-lock mechanism & glass fibre frame arm complete with a knotless nylon net. Overall Length: 43" and Folded 18". 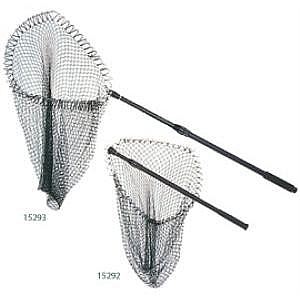 The Sea-Trout nets are a collapsible,telescopic bow frame design.Flip-up folding bow frame head,telescopic handle with twist-lock mechanism,quick,simple,single-handed operation.Quality anodised aluiminium shaft,stainless steel belt clip,EVA foam grip,quality knotless nylon nets. 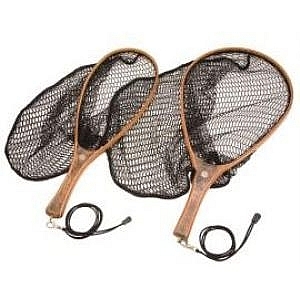 Wooden Frame Hand Trout nets are made from laminated Red Meranti wood for strength and light weight. Available in two frame sizes to cover all requirements, from small wild Brown trout in moorland streams up to larger stocked brownies and grayling in the larger rivers. Both models are fitted with a fine 6mm rubber-coated mesh to avoid scale damage for catch and release, and also avoids unpleasant odour and hooks catching in the mesh. Fitted with a handle eye to which an elasticated lanyard and clip are attached. 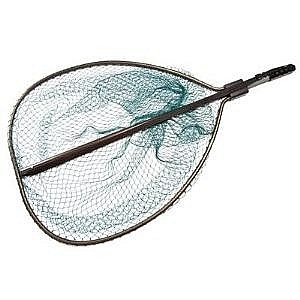 Available in Small: Overall Length: 22",Hoop Size: 14" x 9",Net Depth 10". 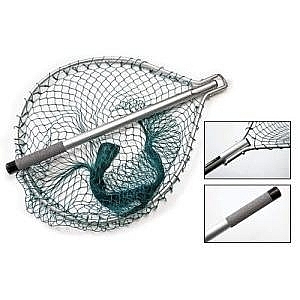 Large: Overall Length: 25",Hoop Size:18" x 12",Net Depth 13".